Taffy never goes out of style! Whether you’re young or old, you can’t resist a piece of our old-fashioned taffy. 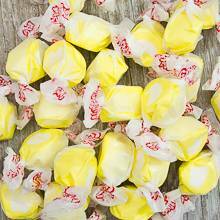 Try our chewy Lemon Meringue Taffy today, and make sure to buy plenty to share with friends. Price quoted is per pound, not including shipping. Price quoted is per pound, not including shipping.